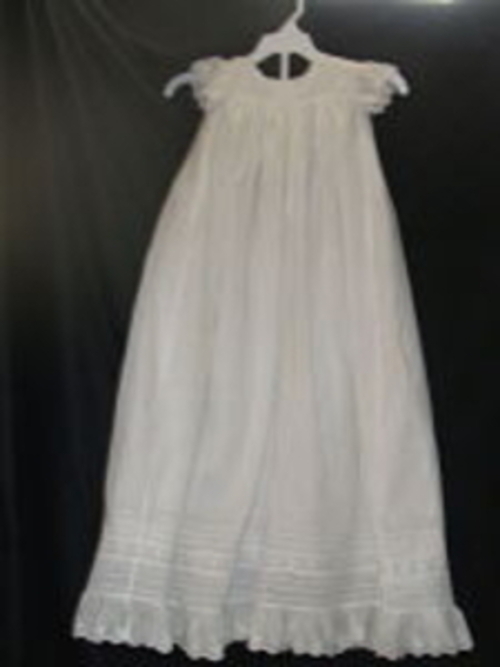 A lovely little eyelet and batiste christening dress measuring 34 inches from the shoulder to the hem. The chest measures 16 inches around. Cap sleeves are made of eyelet. This dress comes with a petticoat with the same measurements lengthwise.